Diane Williams became a director of Cresta Coaches in June 1996. After bringing up our two children Diane took a decision in 2010 to get more involved in the Company and took up the role of dealing with the financial operational side of the Company. 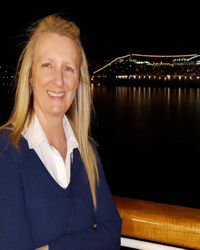 Diane was originally a Manager of a local Travel Agents and she also holds an ABTA Cotac 1 which is a Certificate of Travel Agents Competence.